The primary difference between 50 Hz (Hertz) and 60 Hz (Hertz) is, well, 60Hz is 20% higher in frequency. For a generator or induction motor pump (in simple terms) it means 1500/3000 RPM or 1800/3600 RPM (for 60Hz). Lower the frequency will be the iron losses and eddy current losses. Lower the frequency, speed of induction motor and generator will be lower. For example with 50 Hz, generator will be running at 3000 rpm against 3600 rpm with 60 Hz. Mechanical centrifugal forces will be 20% higher in case of 60 Hz (rotor winding retaining ring has to bear centrifugal force while designing). But with higher frequency, output of generator and induction motors will be higher for same size of motor/generator because of 20% higher speed. The design of such magnetic machines is such that they are really one or the other. It may work in some cases, but not always, and to change between different power supply frequencies will certainly have an effect on efficiency, and may mean de-rating is necessary. There is little real difference between 50 Hertz and 60 Hertz systems, as long as the equipment is designed appropriately for the frequency. It is more important to have a standard and stick with it. The more significant difference is that 60Hz systems usually use 110V (120V) or thereabouts for the domestic power supply, while 50Hz systems tend to use 220V, 230V etc. for different countries. This has the impact that house wiring needs to be twice the cross section for the 110V system for the same power. However the optimum system is accepted as around 230V (wire size and power required versus safety). In most of the US the 110V power system is in tandem with the 240V US system that provides for the higher powered appliances like stoves and clothes dryers, while 110V does wall outlets and lights. Hardly an issue of the appliances nowadays. It is no big difference between 50 Hz and 60 Hz, nothing is bad or good basically. For independent power equipment like ships, aircraft or isolated area like gas/oil installation, any frequency (like 400 Hz) can be designed based on suitability. From an overall perspective, we can't say 50Hz is better than 60Hz or not, there is no difference. The main issue is the fact that there are two power supply standards. This means that links between transmission systems that run on different frequencies require DC links between them, or simply using a frequency converter to change 60Hz to 50Hz. 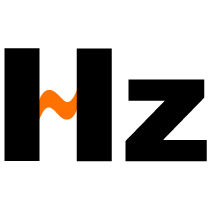 60Hz systems transport 20% more energy than 50Hz within the same time period. We have imported machines which are designed at 60 Hz frequency but in our country we use 50 Hz so what are the effects on machine parts if we use it at 50 Hz. Depending on the type of machine, you may also run into mechanical harmonic resonance problems with various rotating parts. In my humble opinion, you need to contact the original manufacturer and see if they can provide guidance. Your other option ($$$$$) would be some form of 50/60Hz frequency converter. If your machines are generation systems (not motors or similar), you will probably have many more problems, as generation facilities are specifically designed for operation in a very narrow range of speed (aka frequency) typically +/- 5%. Gas turbine and steam turbines are very sensitive to off frequency operation, lifetime can be measured in minutes under these conditions. 60 Hz systems do NOT transport 20 % more energy in the same time period. Basically, the frequency (Hz) has nothing to do with power (W) nor energy (J). With all being said, will 240v 60 hertz electric stove from the US work in the U.K. with 240v 50 heartz power? 50Hz systems require more iron in their transformer cores than 60Hz systems do. However, 50Hz systems have less capacitance in their transmission lines than 60Hz systems do, so they can be slightly longer in distance without suffering losses. I work in US manufacturing. Some of our equipment is sourced from Europe. The electrical panels in some are marked 380v/50hz, 460v/60hz. They will run on either (both being 3 phase supply). As noted, the motor speeds will vary depending on frequency. why its called 50 Hz . Would a 60hz be good enough to run as a back up for a acreage. will a 50 Hz charger work on our 220v 60 Hz power? I have a coil that the specs say 110 volt 28VA @ 50HZ. That converts to about .254 amps, times 135%, means I need to use .400 fuse. Should the fuse size be adjusted when 60HZ power is used? i have a 60hz motor that runs on 460v, and a 50hz motor that runs on 380v. the question i have is why does the 60hz motor run slower the the 50hz? can i use 50hz current transformer with 50hz over current relay on 60hz system ? but in our system use 400 volt 3 phases 50 Hz, we reducer the RPM and efficiency, but how about current, it will be constant or causes to increases it? what is different between 50Hz,230v and 60Hz,110v.why voltage of 60Hz is very less require compare to 50Hz? These standards refer to motors running slowly or faster depending on the appliance and in what country it is working. I have a question: referring to electronic products ( without motors ) what will be the affect on the lower frequency ? For instance a radio CD player that requires 110 v @ 60 Hz running on the step down transformer 220 --> 110 @ 50 Hz. It depends on the design of the appliance which you can check with the appliance's vender, whether it accepts both 50Hz and 60Hz or not, if not, you need a GoHz Converter to change the frequency to make it work properly. I have a refrigerator with 60 Hz, in my country we are using 50 Hz, is that effect on the unit or not? Can someone explain further the sentence "Lower the frequency will be the iron losses and eddy current losses." I got what I was looking for thanks. Hello I am wondering if your converter is good for my appliance....I moved from Italy to Usa , I have many hifi components. They should work with very good source of electricity. They already work with a normal power converter . Do you think your frequency converter will give me more quality??? Why would a washing machine with a 220/50 Hz not run on a 220/ 60 Hz power outlet, - even all the electrical fixtures and connections are adequate. How do I know then, that a converter will make my washing machine run OK? In our country 3 phase supply is 440v for 50 Hertz. Then how many voltage for 60 Hertz 3 phase??? . Can someone explain further the sentence "Lower the frequency will be the iron losses and eddy current losses. There's a magnetic loss in a transformer, engine, generator etc. because of the iron inside them works as a magnet. So if you lower the frequency the magnetic field will leak more into the iron, since a slower hertz (hz) means less shifts +/- or north and south pole on a magnet. So the faster the frequency shifts are, will elimininate more of the magnetic field created. The other current losses are in the copper coils around the iron and they heat up and move around more the stronger the magnetic field is. So again bigger frequency less magnetic disturbance. But if you look at 230v 50hz vs 115v 60hz there is a problem where the current is doubled in 115v to do the same job. The higher current you run through the copper coils the higher resistive loss you'll get in them. I think both methods have a fairly equal result in losses, but I never tested it. If thats the maximum rating on 50 hertz I would think its 460-480v 60hz normally. You are so wishy washy that I think you would say that it doesn't matter if we have the death penalty or not.